Thank you very much for your valued time sharing the experience of your stay and golfing during your recent stay with us on the TripAdvisor. We are delighted to hear that you like the views, golf course and the service from our team. Your compliment will be shared to our team and I do confidence that they will be very happy to know. If there is anything we can do to make your next stay more enjoyable, please do not hesitate to let us know. 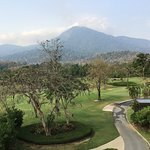 Looking forward to welcoming you back to Chatrium Golf Resort Soi Dao Chanthaburi, Breathtaking Highland Sanctuary in a near future. A truly magical resort. Staff are friendly and very attentive. Menu suits all tastes. 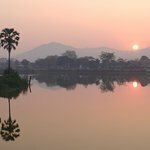 Accommodation is modern, well equipped and excellent value for money. The golf course is everything you expect and the scenery breathtaking. Thank you very much for taking time to share your experience on TripAdvisor during your stay at Chatrium Golf Resort Soi Dao Chanthaburi. The Breathtaking Highland Sanctuary. We are delighted to hear your compliment on our room, facility, staff and food which value to money. The compliment from you is make our day very special day. Your comment will be shared to our team and I am sure they will be very happy to hear this positive comment. Once again, thank you very much and looking forward to welcoming you back to Chatrium Golf Resort Soi Dao Chanthaburi again soon. 2nd time visiting this resort and we will be back. Good course, nice pool and lovely food. Rooms just right. The only downside was that they had a corporate booking and allowed them to set up a karaoke stage which meant other guests had to endure the noise and very bad singing from that group of guests. Not what we would expect from a high end resort at all. This spoiled our experience and that of the other guests I spoke with. 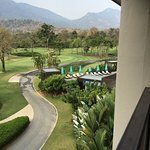 Thank you very much for sharing your feedback on TripAdvisor and your stay at Chatrium Golf Resort Soi Dao, Chanthaburi. The Breathtaking Highland Sanctuary. Please accept our sincere apology for the noise disturbance from singing of other guests that spoiled your experience during your stay with us. We really do understand your feeling and we will re-consider to accept this similar event in the future. 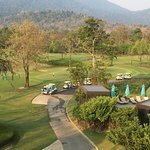 Fantastic golf course set in spectacular scenery, every hole provides interesting challenges for all standards of golfer. Excellent hotel and restaurant facilities with very helpful staff. Looking forward to my next visit. Room tip: There are no lifts, but only three floors so not too much of a climb to a room on the top floor. 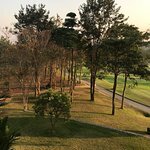 Thank you very much for taking time to write and express your satisfaction with our golf course, hotel, restaurant and staff on TripAdvisor and giving us another best review with 5 rating. We eagerly look forward to the opportunity of welcoming you back to Chatrium Golf Resort Soi Dao Chantaburi again soon. We hold our annual sugar shack bar Ryder Cup competition at various venues throughout Thailand. The venue this year was the Chatrium Resort for our group of 40 golfers and guests had a fantastic time. From the moment of checking in to checking out the staff were very friendly and helpful for the 2 nights and 3 days we were there. The restaurant serves really nice food which everyone enjoyed immensely. 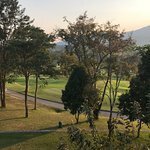 Thank you very much for taking your value time to share your experience of your stay and golfing at Chatrium Golf Resort Soi Dao Chanthaburi. 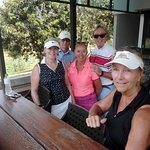 We are pleased to hear that you and your group enjoyed the golfing and had a fantastic time with us, including the arrival experience and food. Your great feedback will be shared to our team. 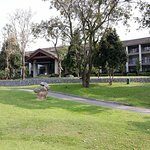 Once again, thank you very much for your stay and will recommend our Chatrium Golf Resort Soi Dao Chanthaburi to your friend. Looking forward to welcoming you and your group back to Chatrium Golf Resort Soi Dao Chanthaburi again in the near future. We have a nice trip up the highlands of Soi Dao, witch we visit many times before. The Chatrium Group has done a very well "upgrade" of this resort. 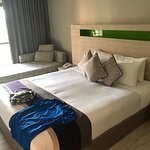 All from the excellent rooms and the friendly staff to the overall look of the resort area. And the restaurant also are improved, we where glad to see that our favorit meal was still in the meny, "Dog Watching Spare ribs". 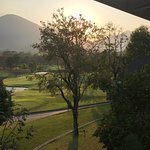 And the golf course have never been as beautiful as it appears in present time, sure we go back for a second trip in march. We are so happy that you enjoyed our breathtaking highland sanctuary and our fine facilities. We'd love to welcome you again in hopefully the very near future.